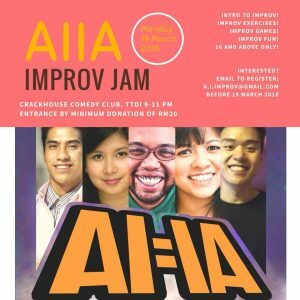 AIIA Improv is a young Malaysian improv troupe formed in late 2007 to create diversity and to share with Malaysian audiences the sheer joy of making things up onstage(i.e. Improvisational Theatre). 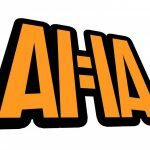 Like the popular TV show ‘Whose Line Is It Anyway?’, AIIA is unscripted so naturally, shows are strictly 18PL. The players for this edition are Iedil Putra, Shamaine Othman, Farah Rani, Ashraf Zain, Tung Jit Yang and musical guest Fadzly Rahman. 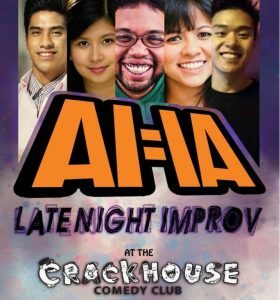 Late Night with AIIA Improv happens every month at Crackhouse Comedy Club! Hosted by a cast of Resident Improvisers with the occasional Guest Improviser, every show is a different experience thanks to the varied and current suggestions (and participation!) from the audience.